New public artwork is on display thanks to a partnership between One Columbia for Arts and History and United Way of the Midlands. 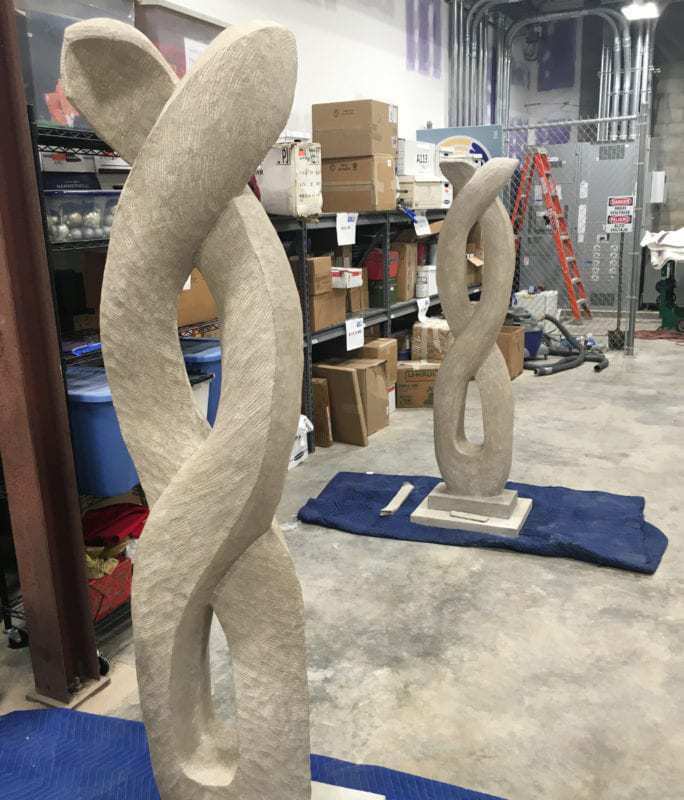 The two organizations united to commission a set of sculptures in conjunction with the dedication of the Community Innovation Center. The sculptures, called “Infinity Extended I and II,” were created by Columbia-based artists Sharon Collings Licata. One sculpture will be posted at each of the two entrances to the Community Innovation Center. The idea is for the Community Innovation Center to become a home for local creators. “We want our new Community Innovation Center to be a hub for collaboration and creativity in the Midlands. We thank Wells Fargo for funding this project, and we appreciate the beautiful piece of art created by Sharon Licata and One Columbia for their help making this become a reality,” said President and CEO of United Way of the Midlands Mac Bennett.